Bali has begun to experience high temperatures since Saturday. On the 26th April. maximum temperature was 41 degree Celsius with humidity at 35%. Whole week was dry with scorching heat producing mirages on the roads! Sudden showers on Sunday, 27th April, were a reprieve from this blistering weather. Congratulations to students and teachers for completing one year of The School Weekly. Thanks to our Chairman, Mr. Sandeep Dutt, who initiated the idea and pushed us into producing it. Sir, thank you! We are more techno savvy now! So far we had news, articles, and letters, now we are coming up with a series of interviews to record history of the school. DEAR is catching up on a snail’s speed. We are in its third week now. So, the teachers are not expecting any magic. Staff is also gradually getting used to this exposure to books. Unconsciously, students are absorbing information as they read about stories by different writers. 22nd April 14: International Earth Day was celebrated at the School. A Special Assembly was conducted by the Principal, where students were asked its importance. Two bright sparks Kapil Bansal IX A and Jaswant Singh IX B surprised the school by giving the right answer as to why we celebrate Earth Day. The school took a pledge to create a sustainable healthy environment by reducing pollution and conserving energy on the school campus. Students and staff switched off all fans and lights from 11.00 AM to 2.00 PM. All laptops and computers were also shut down during this time. 24th April 14: A workshop on ‘Child Abuse’ was conducted for the staff by the Principal. The topic was introduced through a video by “Arpan”. The video was discussed in great length. Different peer group related problems and pressures were explained. The staff learnt how shouting is also a kind of abuse. Asking students to stand outside the class is another abuse. Alternative ways and means were shared with them to help child retain her/his honour. At the end of the workshop the staff was asked to be aware of their ways of deal with children, so that they change their old ways and extend respect to their students. 25th April 14: A new entrance has been opened at the corner of the boundary wall, opposite main school gate for the students to enter the main campus. So far the students had to walk along the Junior School boundary wall to get to their own campus. The main entrance of the Junior School has school buses enter the same gate at the same time, the entry to Junior School has been shifted near the main school gate for its students’ safety. 26th April 14: As usual Saturday activities were carried out. All the four houses met to discuss their forthcoming competitions. Then students of Class VIII, IX and XI attended dance classes with Mr. Ravi Gaud. The other students played their games sets and went for art and craft work. Mr. Kishorelal Rao an expert in Origami visited the school. He exhibited his beautiful craft work and embroidery work to students. His work was highly appreciable. Mr. A. N. Dar, Ex-Principal of The Scindia School, Gwalior, conducted a workshop for staff on pastoral care. Through slide shows he discussed what is “pastoral care”. He emphasised on the qualities of a school teacher. He insisted that school teachers must have a belief of their own and that being a teacher is a real treasure. The belief for a Fabindia School teacher is to improve communication and relationship and make good human beings. A teacher should be multi-functional and hard working and make sacrifices like mothers. We should be patient to observe that over a period of time they improve and reflect qualities inculcated by a schoolmaster. The teacher should make a difference to the life of human beings. The schoolmaster is a divine creation who should help the students to be diligent; be able to evolve his/her application of mind; help them to throw out their fear and not be hesitant. We look forward to his association with us as we found him very understanding for our role. The School Weekly has successfully completed its one year on 22nd April’14. A very big thanks to all students and staff for their contributions. We celebrate the completion of year one of The School Weekly, here are excerpts of an interview with Mr Sandeep Dutt our Chairman. Q: What was your intention in starting the The School Weekly? A: Communication is the key and the only way we can share our thought and vision with the world. For a successful person or any great organisation, it is imperative they convey their mission to a large audience and work in a transparent manner. The School Weekly is our way of connecting with the world, sharing our contribution with the society, as well as celebrating the achievement of our children at school. Q: What was your perception when you joined this school? A: The school to me seemed to be another world in itself, way to far from the mainstream and perhaps not as urban looking as I had imagined. Q: How come you living in Delhi thought of coming and leading this school in the rural area? A: To be honest I have never graduated from school, as in my over 30 years of work life have always been involved with schools as a service provider or a volunteer! This time around was very keen to look at what a school does for an average person and more so was keen to see how the school experience really transforms lives. I volunteered for my first trip to Bali in the fall of 2012, and have since become a part of the community. For me outdoor and adventure were a part of my life and this is another reason why life in Bali excites me. 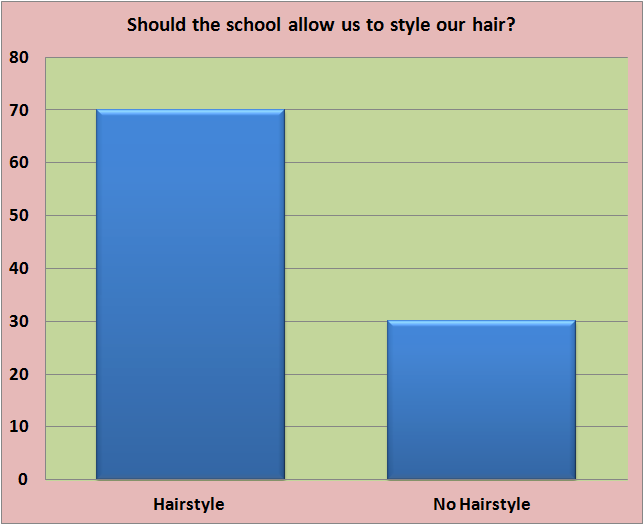 Q: What are the changes and developments that you wish to see in the school? A: At a personal level am committed to mainstream our school and showcase what we have as a model for affordable rural quality education. The object of our trust is to make The Fabindia School the best English medium school in rural India. Q: What changes have you seen after joining this school in the past year? A: It is too soon for me to really list out the changes, the work has just started and we are keen to grow this school into a learning organisation with the best use of technology and have high regard for human relations. Q: What is your wish list for the school's future? A: Have the best training for the teachers and offer the best possible learning experience to help our young people grow up into great human beings. The interview was done over email by our Staff Editor. 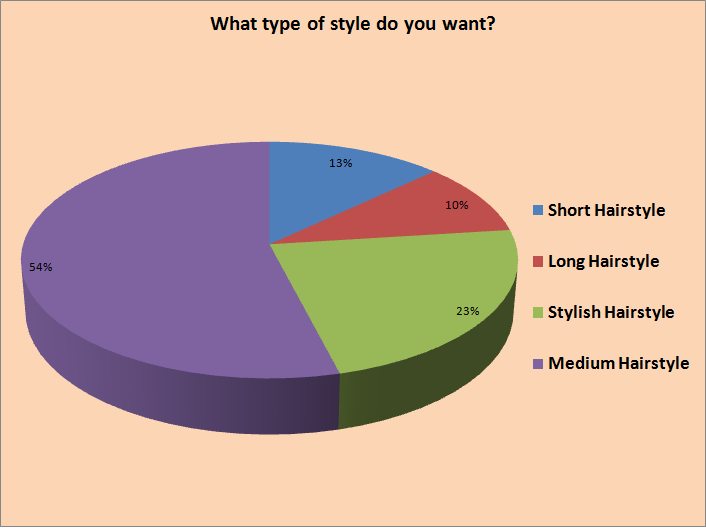 A survey was conducted in the school and the students of class 6 to 12, were asked about what hair style they prefer!